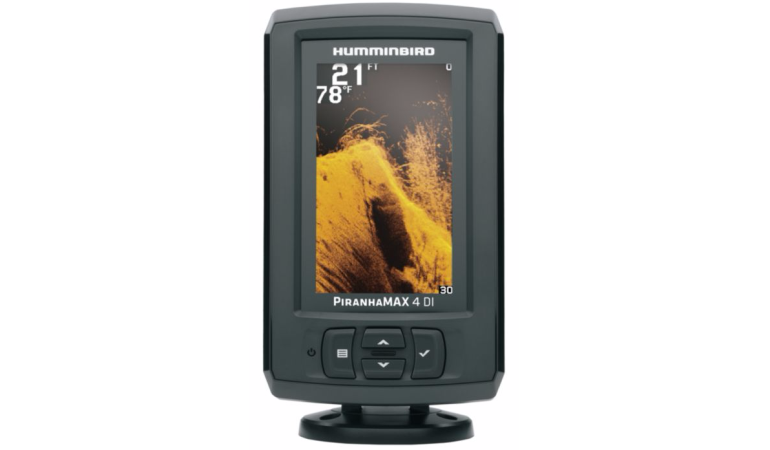 The PiranhaMAX series of fish finders have long been a staple in the Humminbird lineup. 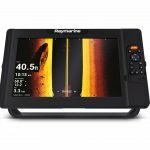 Aimed at budget minded recreational anglers and smaller watercraft, the series offers the basic sonar depth finder at a very competitive low price. 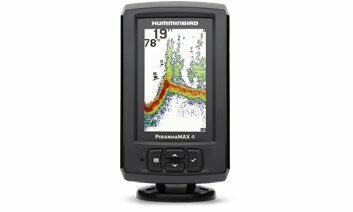 The PiranhaMAX 4 series is all new, replacing the numbered units (196c, 197) from past years with a unit that looks more like the HELIX line. 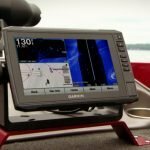 Our PiranhaMAX 4 review will highlight all the new features, and show you whether the regular or DI model might be right for your boating situation. Bigger Screen – The biggest difference from the previous generation of 197/197 DI is the bigger display. 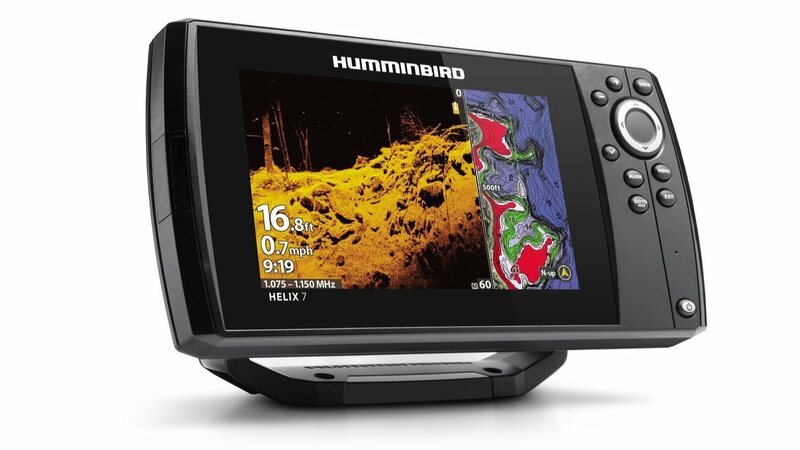 Humminbird says the 4.3 inch screen is 20% bigger, with 70% more pixels compared to the previous models. Bigger screen makes it easier to see and distinguish fish and objects. 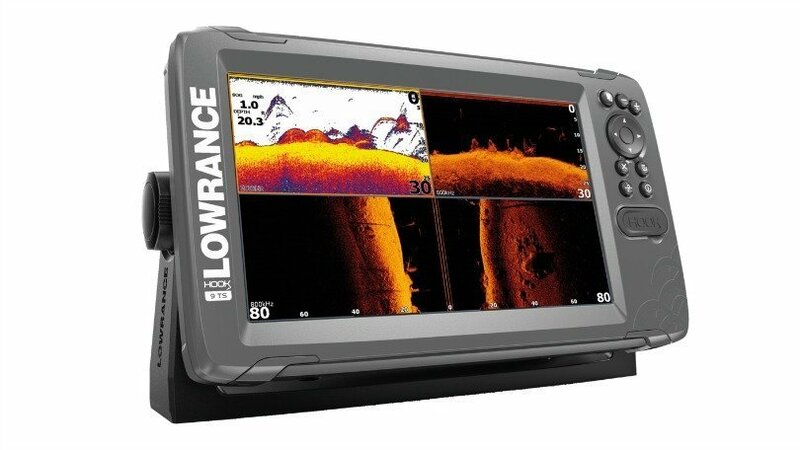 2D Sonar – The regular PiranhaMAX 4 unit comes with the XNT 9 28 T, which provides sonar in the 200 and 455 kHz frequencies. 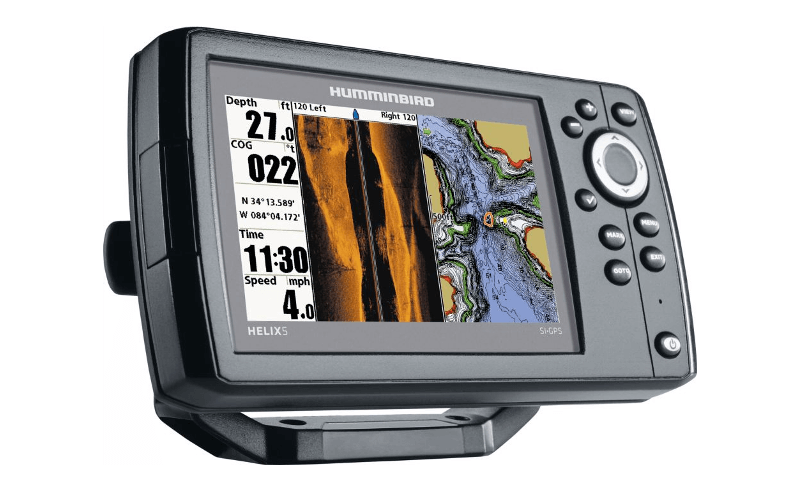 This is typical for Humminbird DI fish finders, and you’ll see the same thing in HELIX 5 and 7 depth finders. Down Imaging – The PMax 4 DI comes with the XNT 9 DI T, just like the bigger brother HELIX DI units. 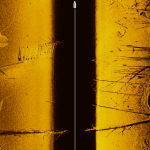 This means 455 kHz imaging to see more picture like sonar returns of the bottom. DI can show you the difference between a tree and vegetation, taking some of the guesswork out of the sonar interpretation. Portability – The PT version comes with a carry case, base, portable XPT 9 28 T transducer, and a 12V rechargeable battery. 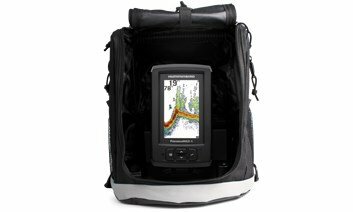 The PT is perfect for taking on trips where big boats aren’t possible, or where it’s easier to carry your fish finder with you. There are a few very similar models in the budget category, and it’s is useful to compare the key features to see how they stack up against one another. This table compares only the imaging versions. The PiranhaMAX 4 DI and Hook 4x both have larger screens than the 4cv, but similar pixel counts. If anything the smaller STRIKER will appear a little sharper thanks to more pixels in a smaller viewing size. Each unit offers a dual beam 2D sonar with 200kHz, but each with a different secondary beam. The STRIKER 4cv and Hook 4x are more traditional, whereas the PMax 4 uses the 455 just like on all the other DI only HELIX units. The biggest thing that stands out is the STRIKER 4cv has an internal GPS receiver, which the others lack. 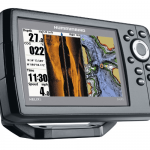 A GPS allows you to save locations and fishing spots, enabling you to return to your honey holes at a later time. Should you Buy a PiranhaMAX 4? Pros+ The bigger, brighter display is nice, along with the option of a portable kit. These finders could be a good choice for temporary mounting, and very small fishing boats. The PMax 4 and PMax 4 DI are low priced units, so if money is your chief concern, these are a good choice. 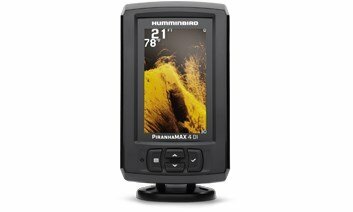 The PiranhaMAX 4 DI is also one of the lowest priced imaging fish finder that I’m aware of anywhere. Cons- There is no CHIRP or GPS like on the STRIKER 4cv. If you don’t mind the smaller screen, and for just a little more money, the STRIKER 4cv offers more features compared to the PiranhaMAX. 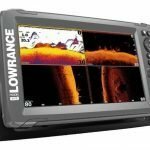 The Bottom Line: If cost is your main buying factor, you won’t find a cheaper mountable fish finder than the PiranhaMAX 4 and 4 DI. 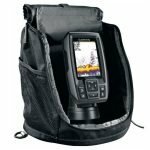 The PT version makes for a good portable fish finder as well, perfect for taking on camping trips to the lake and attaching to rowboats, canoes, fishing kayaks, and paddle boats. Bought new ( 2 weeks ago). Did not operate properly. Took to selling dealer. They confirmed (after 1week) that it was not operating. They tried to confer with hummingbird but could not get through. 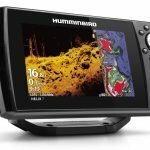 I contacted Humminbird (20 – 25 minute phone wait). After a long discussion I waited while they contacted the dealer to confirm that they looked at it and indeed did not operate like a new machine. I requested that they have the dealer give me a new machine but they refused. Now, keeping in mind that this was purchased “brand new” in the box, they gave me 2 options. 2) take it to an authorized dealer (4-5 hours away). I have purchased several Humminbirds in the past but no more. Your “dealer” should have exchanged it for you, as this is a retail unit. You could have bought it at Wal-Mart and returned/exchanged it. So sounds like they are the ones you have a problem with.